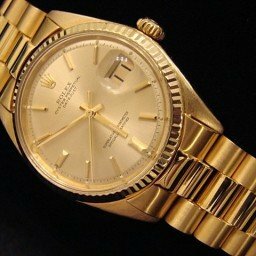 BeckerTime is proud to offer this impressive GENUINE ROLEX timepiece. 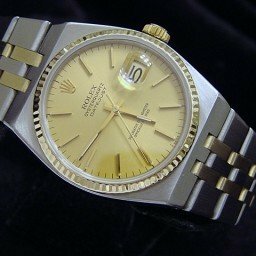 It is a Ladies Rolex 2tone 18k Gold/SS Datejust Watch w/Custom Diamond Bezel ref#69173 that has been fitted with a custom aftermarket oyster style band. 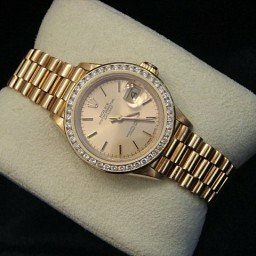 Bezel The .65 carat diamond bezel is in excellent condition. 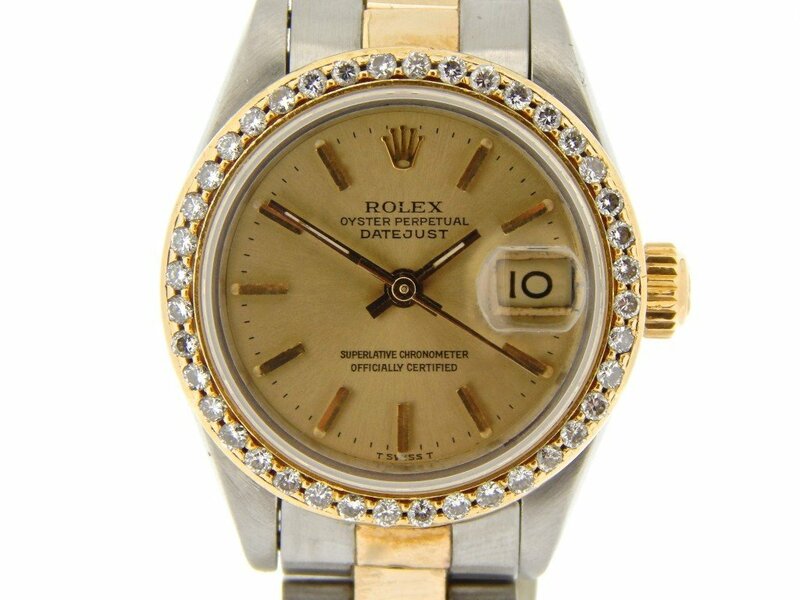 This bezel is not made by Rolex. 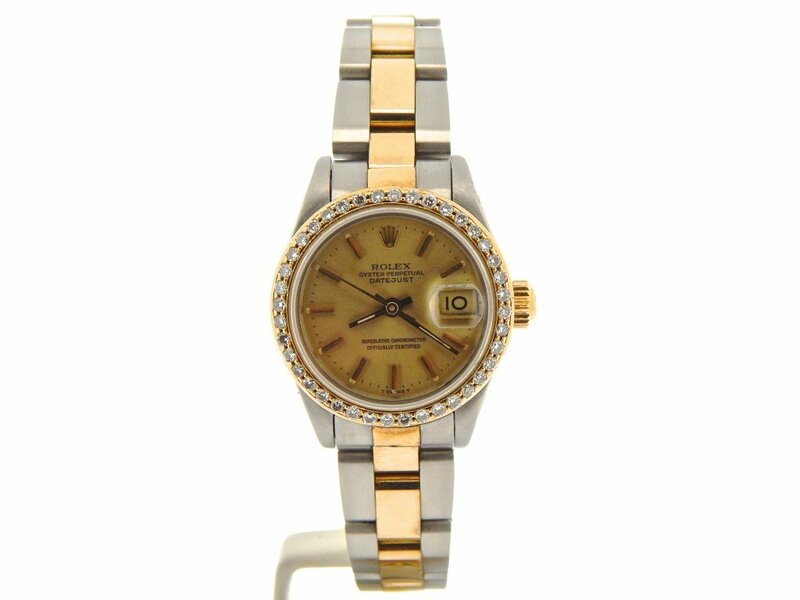 It is an aftermarket bezel of the highest quality with genuine round brilliant diamonds set in 18k yellow gold. 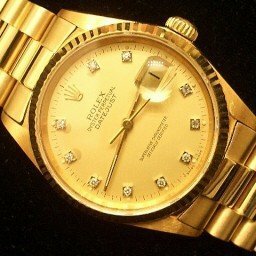 The diamonds are eye clean and face up bright white with brilliant fire. 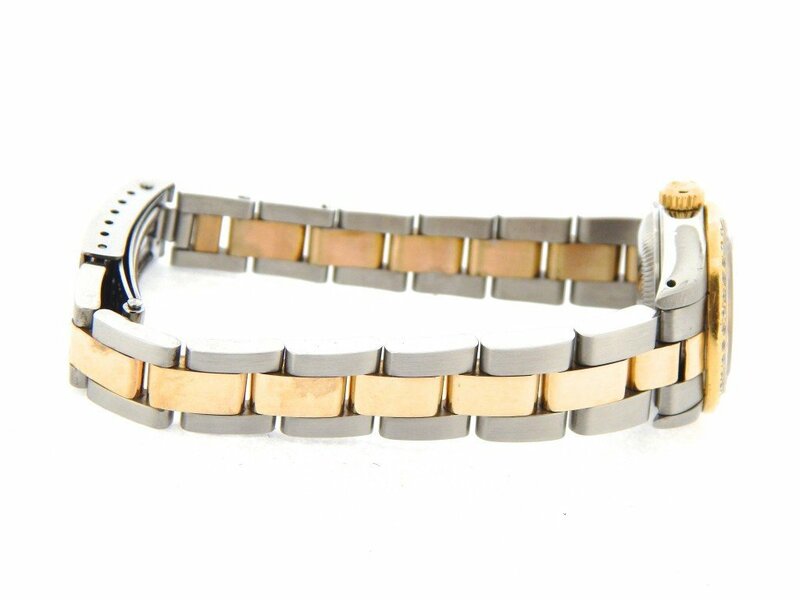 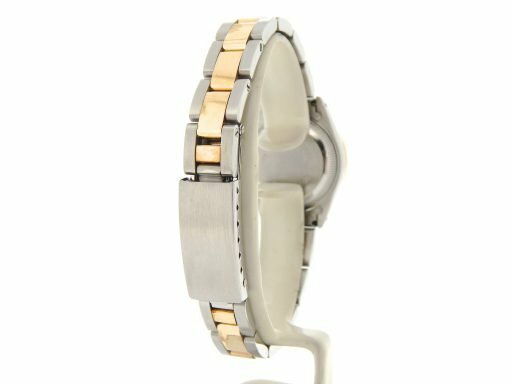 Band Two-tone 10k gold cap & stainless steel oyster bracelet is in perfect condition. 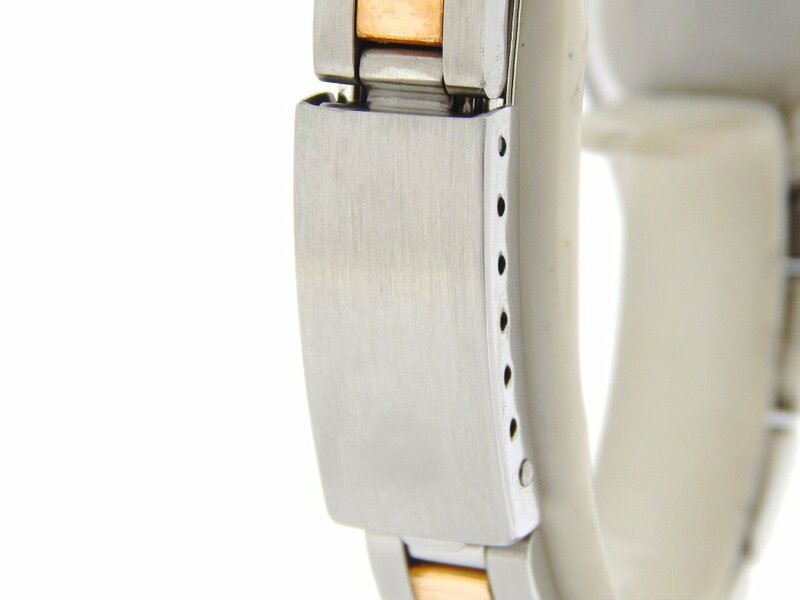 It is a custom made aftermarket band (not made by Rolex). 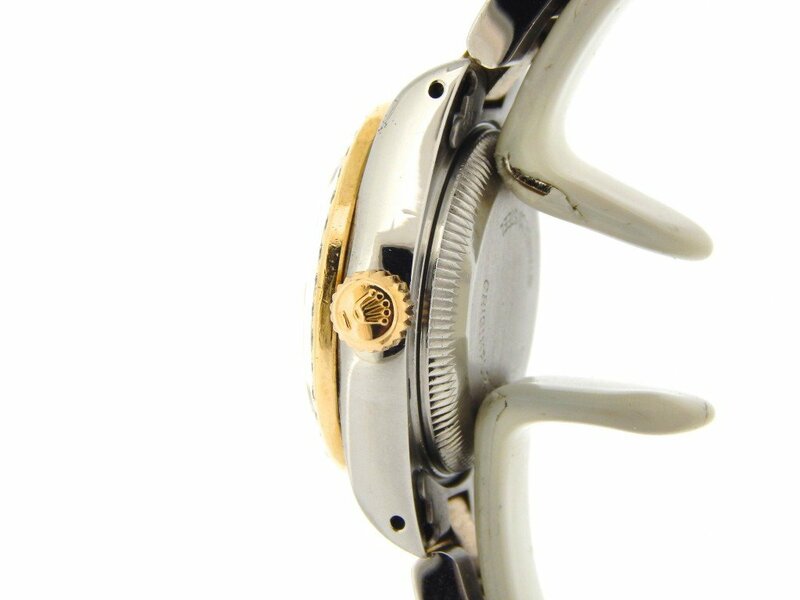 The center links are 10k gold cap (thick layer of gold covering a steel center) and have the desired high polish finish. 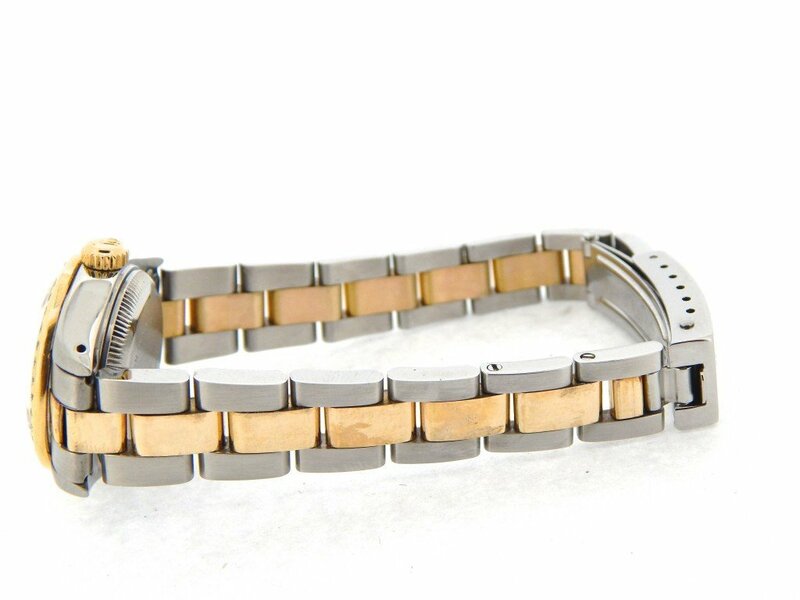 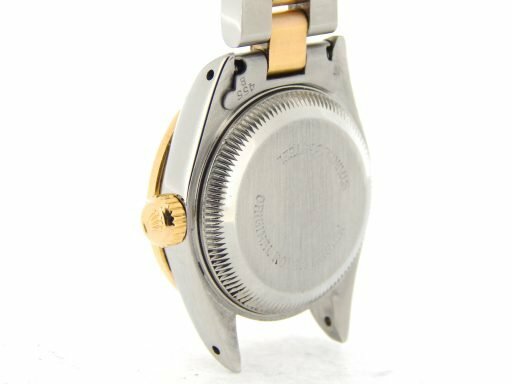 The clasp has NO ROLEX MARKINGS.